The evolution of the organized futures market in India commenced in 1875 with the setting up of the Bombay Cotton Trade Association Ltd. Following widespread discontent among leading cotton mill owners and merchants over the functioning of the Bombay Cotton Trade Association, a separate association, Bombay Cotton Exchange Ltd., was constituted in 1983. Futures trading in oilseeds originated with the setting up of the Gujarati Vyapari Mandali in 1900, which carried out futures trading in ground nuts, castor seeds and cotton. The Calcutta Hessian Exchange Ltd. and the East India Jute Association Ltd. were set up in 1919 and 1927 respectively for futures trade in raw jute. Futures markets in Bullion began in Mumbai in 1920, and later, similar markets were established in Rajkot, Jaipur, Jamnagar, Kanpur, Delhi and Calcutta. In due course, several other exchanges were established in the country, facilitating trade in diverse commodities such as pepper, turmeric, potato, sugar and jaggery. The futures trade in spices was first organised by the India Pepper and Spices Trade Association (IPSTA) in Cochin in 1957. However, in order to monitor the price movements of several agricultural and essential commodities, futures trade was completely banned by the government in 1966. The commodity futures traded in commodity exchanges are regulated by the Government under the Forward Contracts Regulations Act, 1952 and the Rules framed there under. The regulator for the commodities trading is the Forward Markets Commission, situated at Mumbai, which comes under the Ministry of Consumer Affairs Food and Public Distribution. It is statutory institution set up in 1953 under Forward Contracts (Regulation) Act, 1952. Commission consists of minimum two and maximum four members appointed by Central Govt. Out of these members there is one nominated chairman. All the exchanges have been set up under overall control of Forward Market Commission (FMC) of Government of India. Multi Commodity Exchange of India Ltd (MCX) is a state-of-the-art electronic commodity futures exchange. The demutualised Exchange has permanent recognition from the Government of India to facilitate online trading, and clearing and settlement operations for commodity futures across the country. 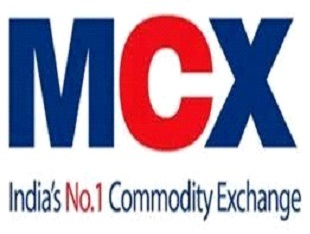 MCX offers more than 40 commodities across various segments such as bullion, ferrous and non-ferrous metals, energy, and a number of agri-commodities on its platform. The Exchange introduces standardized commodity futures contracts on its platform. MCX has been certified to three ISO standards including ISO 9001:2008 Quality Management System standard, ISO 14001:2004 Environmental Management System standard and ISO/IEC 27001:2005 Information Security Management System standard. NCDEX is a public limited company incorporated on April 23, 2003 under the Companies Act, 1956. It obtained its Certificate for Commencement of Business on May 9, 2003. It commenced its operations on December 15, 2003. NCDEX is regulated by Forward Markets Commission. NCDEX is subjected to various laws of the land like the Forward Contracts (Regulation) Act, Companies Act, Stamp Act, Contract Act and various other legislations. NCDEX headquarters are located in Mumbai and offers facilities to its members from the centers located throughout India. The Exchange, as on February 9, 2012 offered contracts in 34 commodities - comprising 23 agricultural commodities, 6 precious metals, 2 energy, 1 polymer and 2 other metals. The top 5 commodities, in terms of volume traded at the Exchange, were Soya oil, Gaur Seed, Chana, RM seed and Guar gum. NCDEX the country's second largest commodity derivatives exchange, has been listing contracts since 2003. Commodity Markets have their presence in country for over 120 yrs. Trade in commodities has been Unorganized in Regional markets & Local Mandis. Trading in Futures Contracts has been permitted in over 120 commodities. Physical commodity market size in India is estimated to be around 25 lakh core per annum. Major commodities traded in India are - Gold, Silver, Crude Oil, Copper, Guar, Chana, Spices, among the few. Corn, Oats, Rough Rice, Soybeans, Rapeseed, Soybean Meal, Soybean Oil, Wheat, Cocoa, Coffee, Cotton No.2, Sugar No.11, Sugar No.14. Livestock and Meat :- Lean Hogs, Frozen Pork Bellies, Live Cattle, Feeder Cattle. Energy :- WTI Crude Oil, Brent Crude, Ethanol, Natural Gas, Heating Oil, Gulf Coast Gasoline, RBOB Gasoline, Propane, Uranium. Precious Metal:- Gold, Platinum, Palladium, Silver. No Comment to " Top commodity market and exchanges of India "